Electricity is a part of all our daily lives. 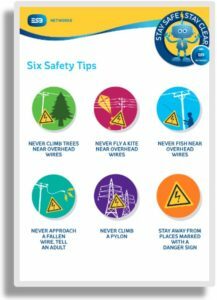 We can forget that it is a powerful energy and it is important to be aware that serious accidents with electricity can occur in the home. ESB Networks own and operate the electricity distribution network that transports electricity to homes around the country. Your home’s electricity supply comes through the ESB Networks main fuse and meter. Both of these items are sealed and must never be interfered with. The safety of the electrical wiring installation in your home and how electric appliances are used and maintained are your responsibility. 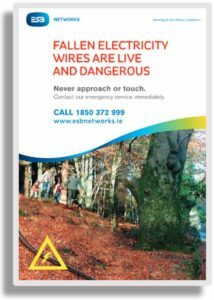 There is more information on safety in relation to the electricity safety at home on the ESB Networks website. 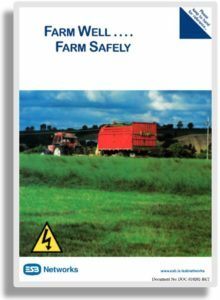 You can go directly to the Safety at Home page on their website by clicking on the button. 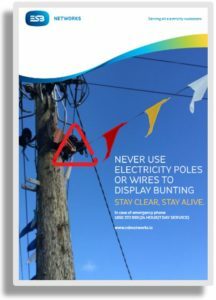 There are also a number of documents produced by ESB Networks that give important advice in relation to safety across a number of areas. The buttons and links below take you to some of the advice documents produced by ESB Networks.